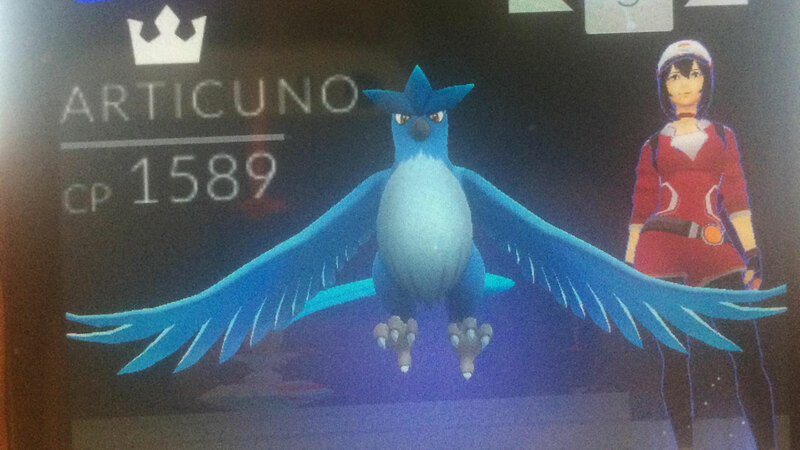 First Pokemon Go Legendary appears – Articuno caught in Ohio, but is it real? Pokemon Go trainers have reported the first Legendary. Pokemon Go seems to have unleashed its first Legendary. Multiple reports suggest Articuno has popped up in the wild. As seen on Facebook and Reddit with multiple screenshots, photos and even video as evidence, Articuno has been caught by trainers in Ohio. Given that both reports originate from the same place it is possible this is a fake, or the result of a hack – but it could also be a local Pokemon Go event, even if it’s an accidental one. Fans on reddit have been split on the issue, with some corroborating the Articuno’s brief appearance at an Ohio gym and others disputing it. Research appears to be ongoing. This is the first time there’s been anything like solid evidence that a Legendary has appeared in Pokemon Go. Although data miners have turned up multiple Legendary creatures in Pokemon Go, none have been spotted in the wild until now. Many Pokemon Go players theorised that Legendaries would be restricted to special events, which makes Articuno’s sudden appearance a bit mysterious. We’ll have to wait and see if it turns out to be legit.